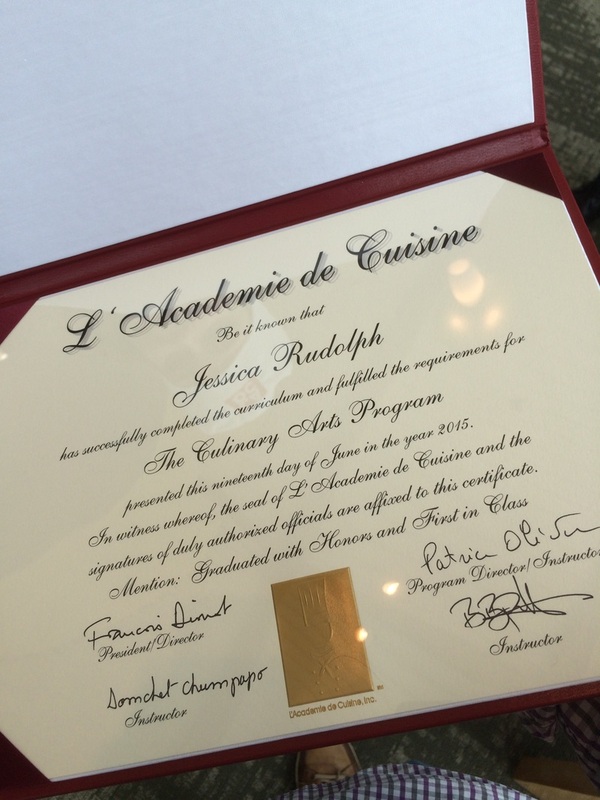 Jessica Cooks! Devoted to sharing some of our favorite recipes and menus. A native of Northern Virginia, Jessica graduated with a dual degree in Computer Science and Math from The University of Virginia in 2010. Since 2006, she has spent nearly all of her free time immersing herself in all things culinary: reading and collecting recipes, planning menus, and of course cooking. She loves to cook for family and friends, and has catered many informal events both big and small. 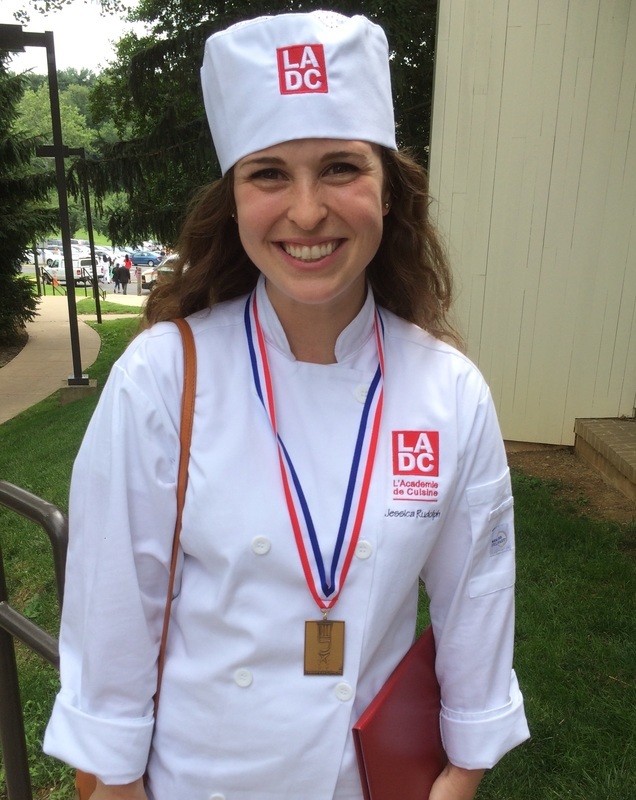 After far too many days spent daydreaming of time spent in a kitchen instead of a cubicle, she decided to embark on a major career change and enrolled in full-time professional culinary school at L'Academie de Cuisine in Gaithersburg, MD. After graduating at the top of her class in June 2015, she is overwhelmingly excited to be pursuing her passion through any experience she can get! December 2014- June 2016, Jessica was a cook at 1789 Restaurant in the Georgetown neighborhood of Washington, DC. 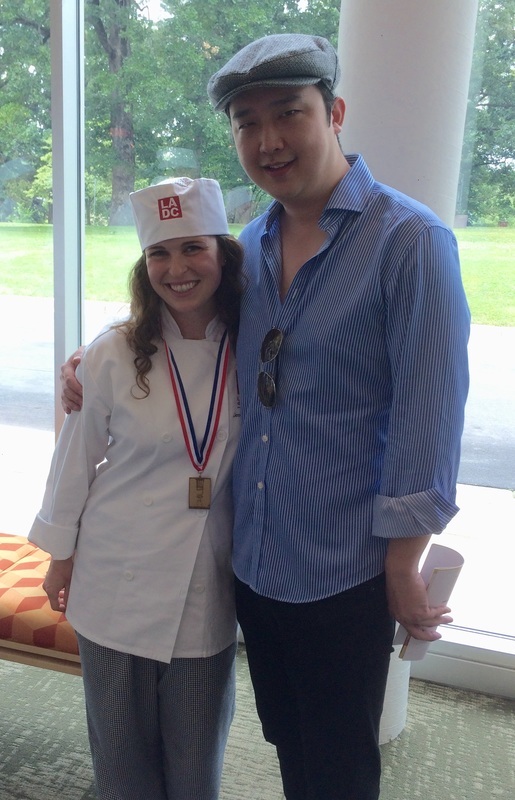 In 2016, she accepted a position at America's Test Kitchen in Boston, MA and is now working there as the Lead Test Cook on the Photography team. Nothing makes Jessica happier than sharing her food with others (except, perhaps, baby animals). If you have any sort of event you'd like catered, she would be happy to help! She can work with you to build a menu completely customized to suit your needs. Please see the Catering page for some examples of menus she's created in the past, and feel free to contact her with any questions.